This week the PGA Tour heads to Washington for the Quicken Loans National and as usual a strong looking field has assembled itself, and the tournament host, Tiger Woods is competing. This tournament is a reduced field event, therefore only 120 players tee it up but some big names are doing so. Two time Quicken Loans champion, Justin Rose is the bookies favourite and closely followed by Rickie Fowler and Jimmy Walker in the betting. 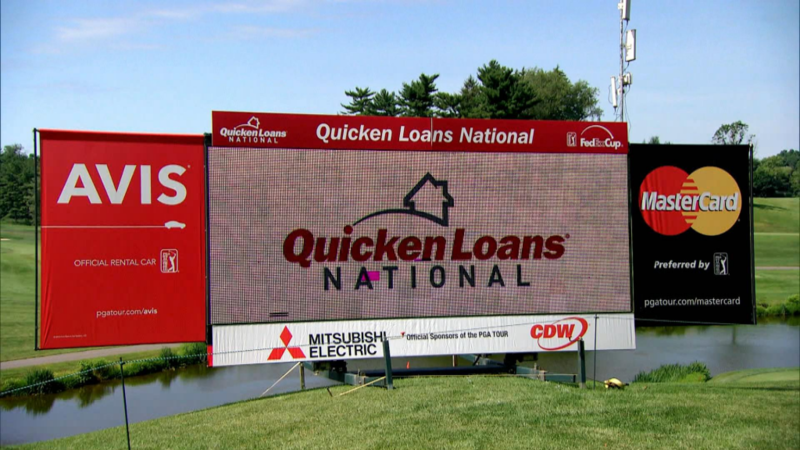 This year’s Quicken Loans National venue is the Robert Trent Jones Golf Course and it’s one that’s never hosted a professional strokeplay event. This isn’t ideal from a betting perspective but it’s the same for the bookmakers and I’ve done my research so I hopefully have an edge over the bookies. The course was designed by famous golf architect Robert Trent Jones and it has hosted the President’s Cup on four occasions, most recently in 2005. Lake Manassas hugs the golf course, however players only have to play over the lake on the signature par 3 11th. Jimmy Walker – Jimmy Walker is one of the best players on the PGA Tour nowadays and I’m more than happy to have him onside at 18/1. The American is 2nd in the Fedexcup standings this season and has won twice and finished in 2nd position twice. Walker has recorded five wins on the PGA Tour in the last two seasons which is why I find his price excellent value. Jimmy is ranked 17th in driving distance on the PGA Tour this year and comes into this week in good form. He finished 30th in the Open Championship recently around a course which didn’t particularly suit his game. Justin Thomas – My final selection for the Quicken Loans National is the extremely talented Justin Thomas. This year is Justin’s first on the PGA Tour and he’s recorded eleven top 25’s already and in his most recent start, he finished in 5th position, therefore his game is clearly in great shape. Thomas is a long driver of the ball and I believe driving distance is advantageous this week, the American is ranked 18th in driving distance on the PGA Tour this season. 33/1 seems too good to be true and a win isn’t far away for Thomas in my opinion. Daniel Berger – It’s impossible to ignore Daniel Berger at a three figure price this week, like Justin Thomas, he’s a very talented youngster. The American has already recorded five top ten’s this season and that includes a second place finish in The Honda Classic where he lost in a playoff against Padraig Harrington. Similar to my other selections, Daniel Berger is a big driver of the ball which I believe to be advantageous this week.